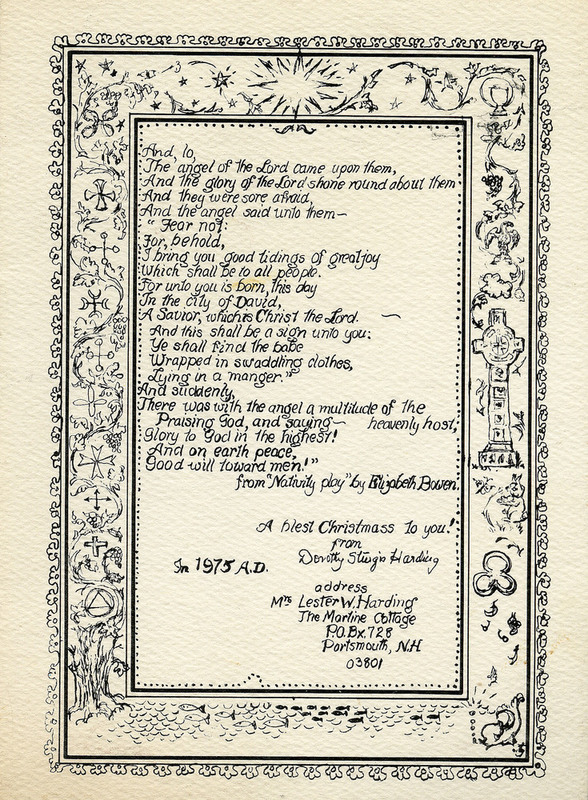 An original, local Christmas card designed and inked by Dorothy Sturgis Harding. Features a poem from "The Nativity Play" by Elizabeth Bowen and an intricate floral border with personal symbols. 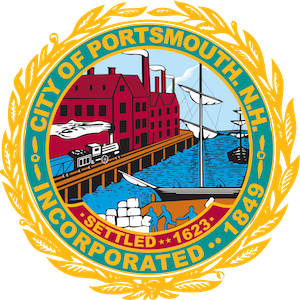 ~ Dorothy Sturgis Harding, “"Nativity Play",” Portsmouth Public Library's Online Archives, accessed April 23, 2019, http://portsmouthexhibits.org/items/show/2065.